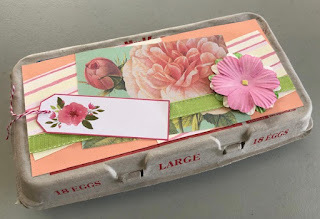 For the past two day's we've been looking at spring ideas using an egg carton as a gift box. 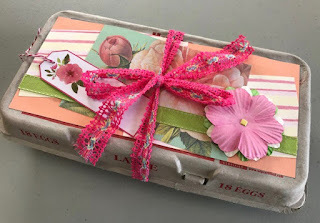 To see my gift-filled eggs, read here, and to read how to fill it with mini cupcakes, click here. 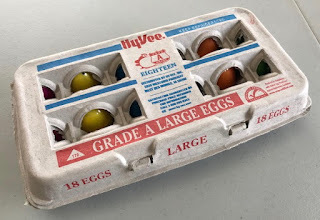 Today we're going to decorate the lid of the egg carton. 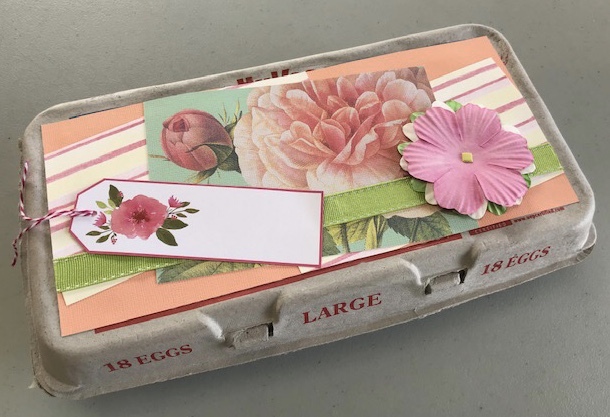 To make this egg carton gift box lid decoration, I used textured card stock, two decorator papers, a die cut tag, self-adhesive ribbon, paper flowers and a metal brad. It doesn't matter what type of life your egg carton has, you can still attach decoration to it. If it is flat, you can work with it like any other paper craft surface. If it has dips and divots like mine does, 3D adhesive works great. 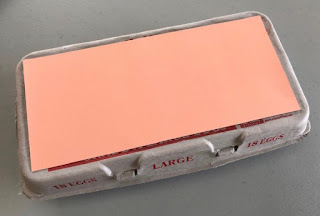 The easiest way to make a paper mat for anything - whether it's the front of a card or the top of an egg carton - is to flip the paper over, lay it on your background and mark the desired height and width you want. Tiny tick marks will do just fine. 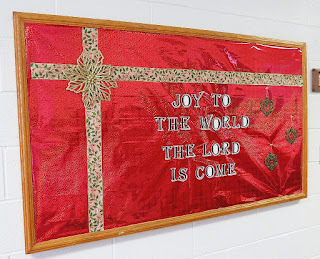 Then you can use your paper cutter with those arks as your guide. It will be a perfect fit and you don't have to measure or do math. 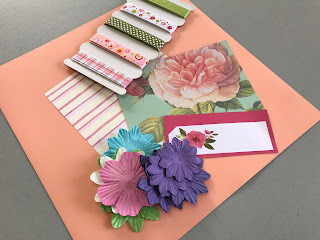 Then I decorated that piece of card stock before attaching it to the lid. 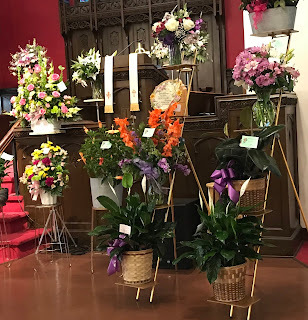 I have coordinating embellishments, and it was so much fun to come up with the color combinations. You can personalize the egg carton to the recipient, and having a decorated tag like mine gives you a place for a hand-written note. Then just tie up the whole box with a fun ribbon and it's ready to go!